​Gary Lineker has revealed he is worried about Tottenham striker Harry Kane's persistent ankle problems. 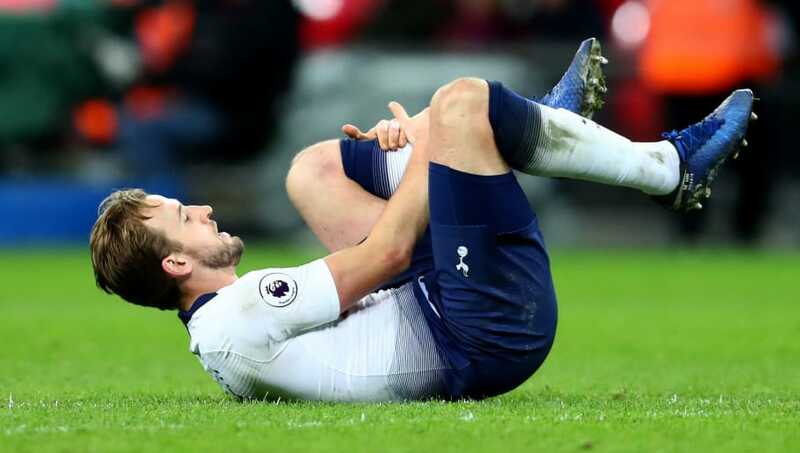 Kane has not featured for Spurs since the 1-0 defeat to Manchester United in mid January but recent reports have claimed he could be back towards the end of February, having initially been ruled out until early March. Speaking to ​Goal, former Spurs forward Lineker admitted the recurring nature of Kane's ankle injuries is a problem, with the England captain previously suffering foot problems. He said: “It is always a worry when you get a recurring injury and there is clearly a little weakness in there. “No player wants to have an injury that keeps cropping up, but ankles are not as bad as having a recurring calf problem or a hamstring issue, as they can be hard to overcome. "You can roll your ankle and get away with it to an extent, but the more you do it, the more you worry the weakness will become a problem." While ​Tottenham exited both domestic cup competitions in ​Kane's absence, they remain third in the Premier League and are in decent form ahead of their Champions League clash with ​Borussia Dortmund, and Lineker stated Spurs will need their talisman fresh for the second leg. He added: "They have picked up some positive results in the Premier League over the last few weeks though and are in a strong position despite losing some key players at the wrong moment.